Volunteers at the Thessalon Curling Club are caught up in the hustle and bustle as they prepare for the arrival of a very important man later this month – and no it’s not Santa! In an effort to bring attention to the game of curling and to raise much needed funds for his home club in Harvey Station Rob is attempting to curl 100 games in 100 clubs across Canada. Rob travels across the country for work to northern British Columbia and decided to take some detours to Canadian curling clubs along the way. His fundraising goal is $50,000. Rob is hoping to use the funds raised to complete some renovations at the 53-year-old Harvey Curling Club. TCC is no stranger to keeping a small curling club viable and immediately invited Rob to join them on the ice. They will be holding a 16-rink Family Funspiel and pasta dinner for curlers of all ages and abilities and as a fund-raiser for Curling Across the Nation. A pool is being conducted to win the chance to curl with or against Rob Swan. 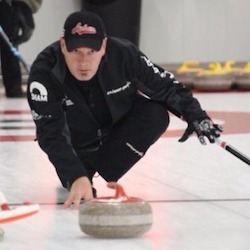 His curling schedule for this month includes stops in Leduc, Alberta, then Moncton and several other clubs in eastern Canada, and on to Sault Ste. Marie and Thessalon December 27. Then it’s back to Alberta for a few games in Edmonton. Rob started out on his own but his effort has picked up steam and he is now supported by some corporate sponsors and was even featured on Canada AM. So come out and visit Thessalon Curling Club and meet Rob Swan. Contact TCC at thessaloncurlingclub@live.ca or check out Ron’s progress at: www.curlingacrossthenation.com.